Bare Necessities is having a Sitewide Sale ! 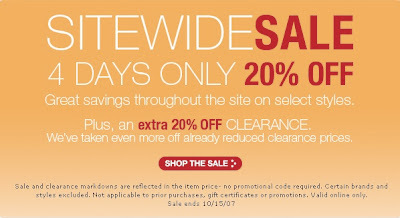 This sale gets you 20% off selected styles as well as 20% off clearance! The sale ends tomorrow, so hurry! No promotional code required. Click here to shop the men's section of the sale.